It’s no secret that I am a beauty product hoarder. 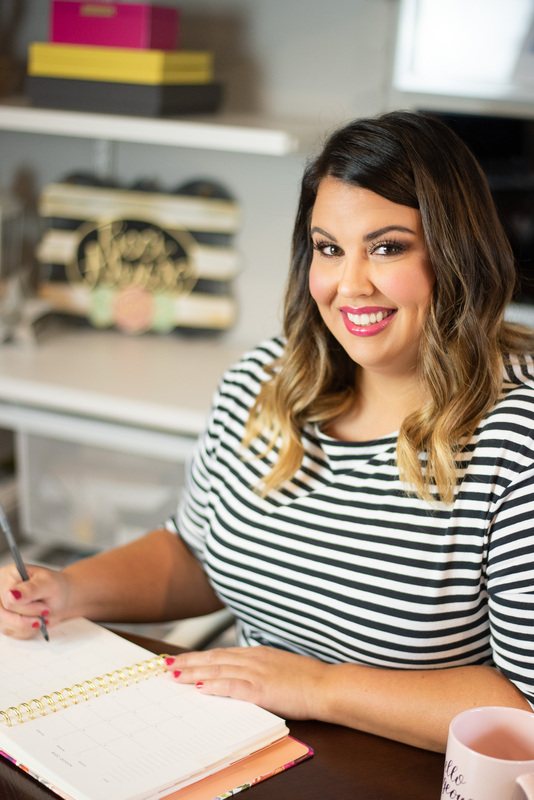 I am skincare obsessed and love trying new products and most of the products I want to try I found through blogging…funny how that works! I have been an Ulta exclusive shopper since one opened right by the hospital I work at but ever since Rebekah and I went to Dallas last month I have been on a Sephora kick. Sometimes Sephora just has things that Ulta doesn’t and I had completely forgotten about a few of these faves and found some new ones! 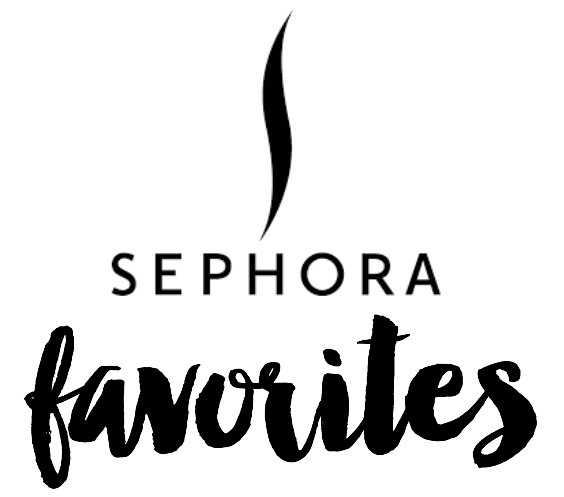 So today I thought I would share my newest Sephora Favorites!! Peter Thomas Roth Glycolic Acid 3% Facial Wash. Ever since I got my last facial at Little Rock Cosmetic Surgery Center I have been obsessed with finding a good face wash with glycol acid. After a ton of research and reading reviews I finally bit the bullet and grabbed this bad boy. It is gentle enough to use everyday yet strong enough that my face always feels super smooth after using it. I keep it in my shower and use it every morning. Bite Beauty Agave Lip Mask. I have read about this lip mask on a few of my favorite beauty blogs but never could find it…apparently it is only sold at Sephora. Go figure! This is a great lip mask and worth the $25 price tag in my opinion. I use it every night before I go to bed and carry it with me when my lips are super dry. It’s thick but not sticky and lasts a long time. Sephora Collection Eye Masks. I love love love these fiber eye masks!! I got the rose one when I was in Dallas and really felt like it worked so I grabbed these the last time I was in Sephora!! the best part? they are only $5! There are also full face masks and overnight masks available too. Smith’s Rosebud Salve Balm. Again with the rose products, I know! I have a tin of this Rose Salve that I love but I don’t love carrying it with me at work. I work in a hospital and don’t like putting my fingers in the tin and then touching my mouth. Hospitals are just gross. So this rose salve in a tube is perfect!! Do you shop at Sephora?? It looks like I need to take a shopping trip there! I have not been there in ages, but I know they have high quality items. I need something to help this skin of mine! I just got a Sephora gift card, so I am dying to get over there! It’s totally burning a hole in my pocket. Sephora is a great company. I’ve been using them for a while now, and I love them. I’ll have to get some of this for my two tweens. They’re starting to get into the acne phase. I’ve never shopped at Sephora. I think I need to drop by and check out these products. I would love to try the exfloikate! I love a nice scrub for my face. It makes my skin feel so fresh. These are some really cool products. I’ve never tried a lip mask like that. It sounds really nice. I love me some Sephora! Totally making a trip there this weekend! I have yet to go shopping at Sephora. Need to buy some lipstick. I buy sephora products from the Mall, I might check them online. I love their facial scrub! 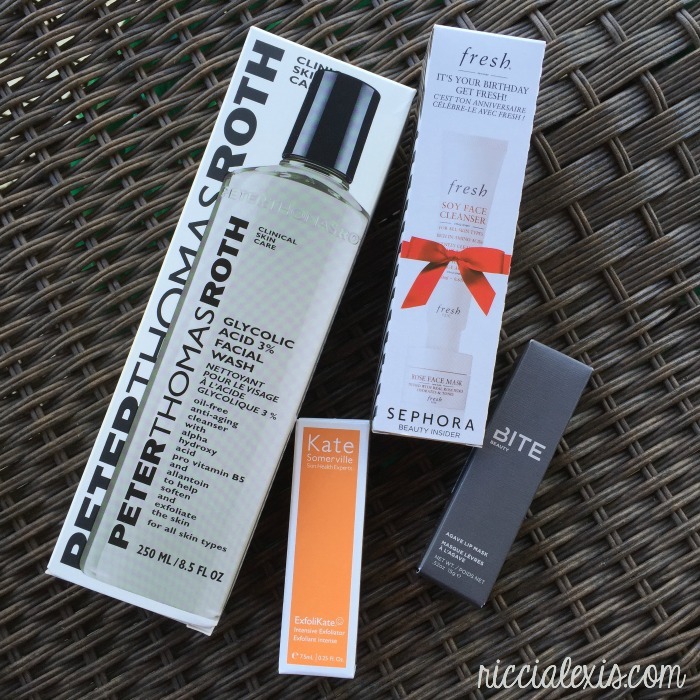 I’ve heard a lot of good things about Sephora, but I haven’t tried any of their products yet. I think it’s about time for me to give them a try. Those look really nice. I think we have a Sephora’s in one of the big malls about an hour away from here. The next time I’m up that way I’ll have to check it out. Sephora is a great product line. My Daughter loves the makeup. I wan to try some of the face masks. I’ve never tried ANY of those. I tend to buy a lot of products, but then never end up using them. The lip mask looks like something new that I can try. MAsks are always my favorite, and I stock up! I have never been in a Sephora store before. 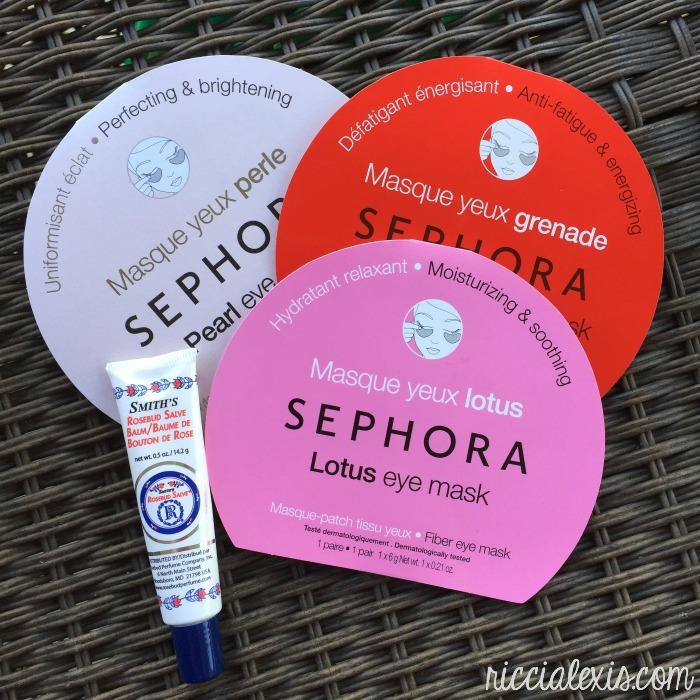 That Lotus eye mask sounds amazing.